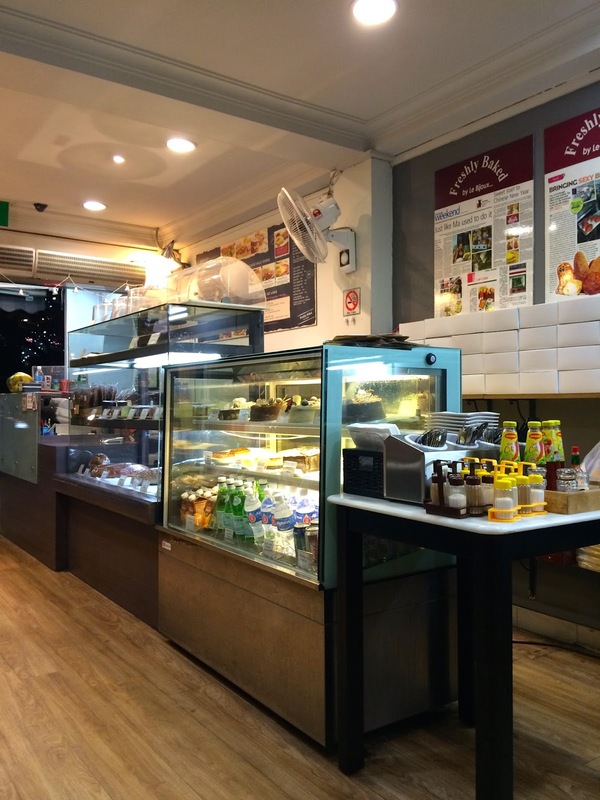 Located at a corner of Killiney Road, Freshly Baked by Le Bijoux is an unpretentious bakery cafe owned and run by chief baker and owner, Audrey Tan. This bakery focuses on using natural ingredients to create artisan products. The cafe also serves brunch and gourmet sandwiches using their freshly-baked breads and meat supply from Huber’s Butchery. The cafe serves 12 gourmet sandwiches, featuring many classics such as Egg Mayonnaise, Ham And Cheese and Smoked Salmon. This beauty here is BLT, which is crispy bacon with lettuce, tomato and avacado, served in between two pieces of fluffy freshly-baked wholemeal bread. The fluffy bread and crispy bacon creates an interesting contrast of texture and I like the idea of substituting avacado for butter for a healthier meal. 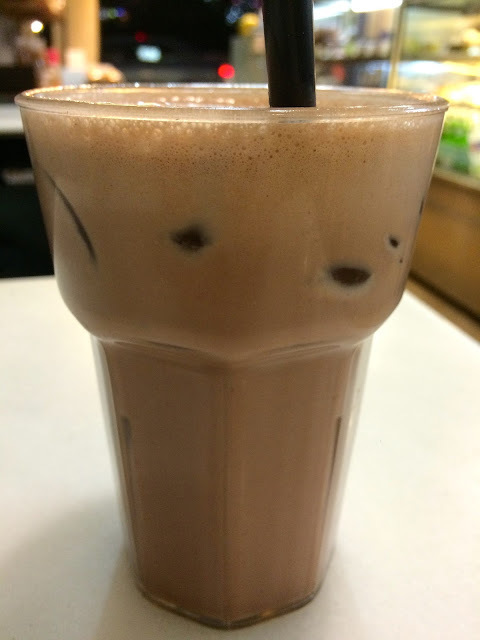 I appreciate the healthiness of this Iced Chocolate, but it really tastes more like chocolate-flavored water than iced chocolate. Total failure. Freshly Baked by Le Bijoux also has two choices of salad, namely Garden Salad and Caesar Salad. The brunches are conveniently named Local Brunch, Brunch A, Brunch B and Brunch C.